The American Association of Motor Vehicle Administrators holds periodic conferences which are held in different locations throughout the country. 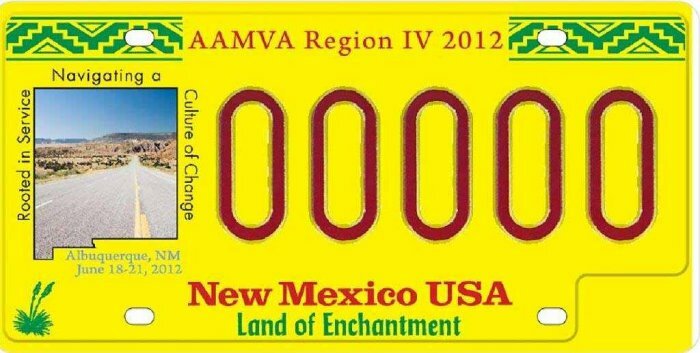 On at least a couple of occasions when the meetings were hosted in New Mexico the state gave souvenir AAMVA plates to the attendees. These are booster plates and not registration plates. Photo Credits: 2012 AAMVA sample courtesy N.M. MVD. All others by Bill Johnston.